Many wetlands in the Western U.S. have been impacted by historic land uses such as logging, grazing, and road building. The reduction in plant cover and increase in surface runoff leads to channelization and the formation of gullies. The gullying and headcutting continue upstream and drain the wetland. Keystone Restoration Ecology has been at the forefront of wetland restoration design in the Southwestern US for over a decade. Our ability to combine the knowledge of geomorphology with the understanding of wet meadow plant communities makes our designs effective and specific to the unique needs of each wetland. 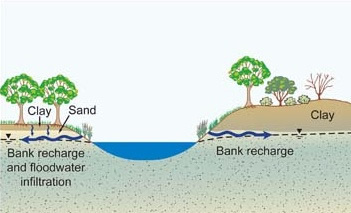 Plug and pond structures are constructed from native soils and wetland sod plugging the channel. Base water flow now can spread across a greater area creating a temporary pond. This water is re-diverted back onto the surface of the wetland into the same historic swales and surfaces formerly irrigated before the erosion and incision. 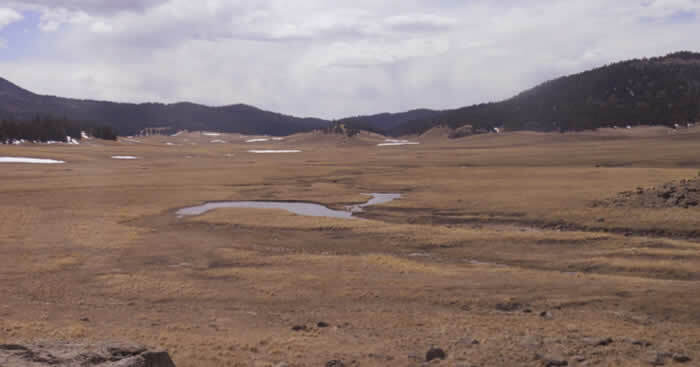 Retained snowmelt also returns to the stream as cold ground water during hot, dry summer months. Headcuts at bottom of wetland become ponds and heal with vegetation. KRE helped develop the technique for saving the wetland or upland sod and replacing it on top of the dam of the pond, the first time this was implemented in New Mexico. This is now a standard technique in our plug and pond structures at wetland sites, and ensures that the pond is almost invisible once construction is complete.